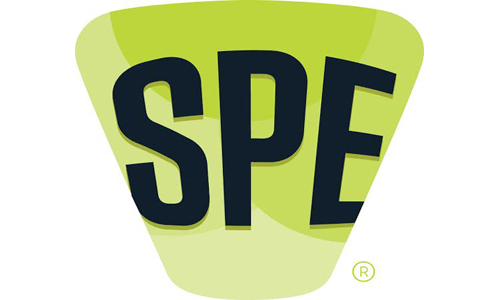 BETHEL, CT, U.S.A., January 22, 2015: The Society of Plastics Engineers (SPE) will present its annual awards for outstanding contributions to the plastics industry to four distinguished individuals during SPE ANTEC® 2015. ANTEC 2015 will take place March 23-25, 2015 at the Orange County Convention Center (OCCC) in Orlando, FL, U.S.A. and will be co-located with the NPE2015 international plastics show. The awards ceremony will be held on the evening of Sunday, March 22, at the 2015 Plastics Hall of Fame Induction Ceremony in the Linda W. Chapin Theater of the OCCC. This is SPE’s most distinguished award and is presented to honor an individual’s lifetime achievement. Dr. Richard J. Spontak is an Alumni and Distinguished Professor of Chemical & Biomolecular Engineering and Materials Science & Engineering at North Carolina State University, Raleigh, NC. Charles A. Sholtis is the Chief Executive Officer of Plastic Molding Technology, Inc. (PMT), a Texas-based manufacturer of small, precision-engineered, injection-molded components used in diverse industries. Under Charles’ leadership, PMT was named the Manufacturing Leadership Council’s 2014 Manufacturer of the Year and was recognized for its industry-leading sustainability initiatives and operational excellence. Dr. Sarah Morgan is a Professor in the School of Polymers and High Performance Materials at The University of Southern Mississippi. She joined The University in November 2002 after a fourteen year career in industrial R&D. Her expertise is in the area of polymer surfaces and interfaces. She was awarded the Journal of Polymer Science Part B: Polymer Physics Prize for 2010. Dr. Sureshkumar Shah has 30 years of experience in the automotive industry with General Motors and Delphi. His highest technical level was that of “Senior Technical Fellow.” He has received numerous honors for innovations in the use of plastics in automotive.